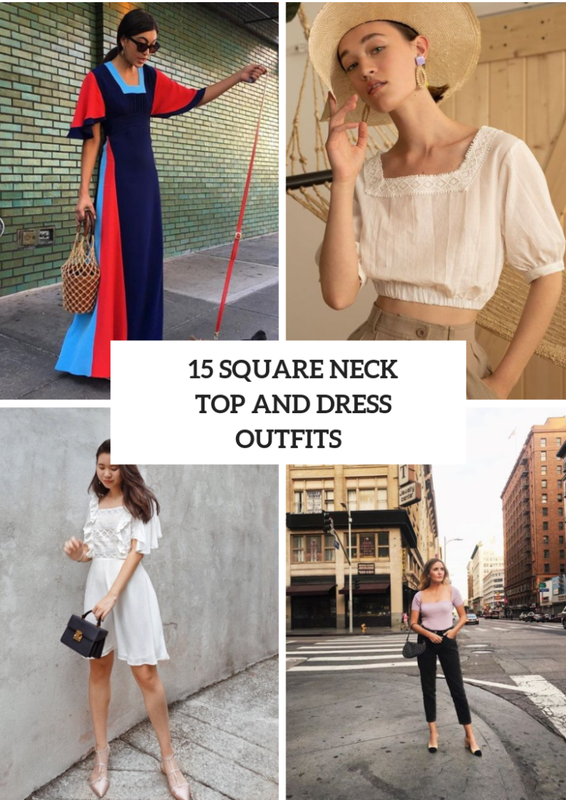 We always try to create elegant outfits with V-neck blouses, tops and dresses, but what about square neckline ones? 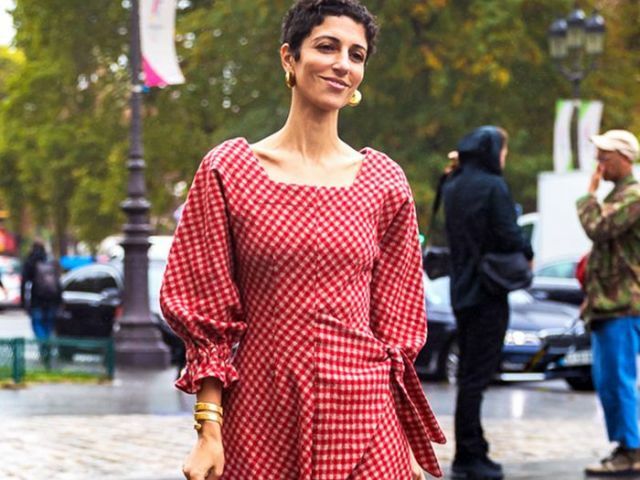 Today we want to tell you about these types of dresses and blouses and show you some cool ways how you can combine them with other pieces of clothes, accessories and shoes. 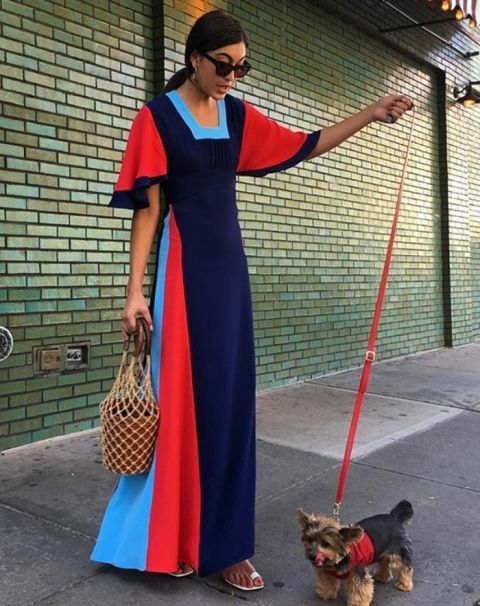 You can choose a fitted square neckline knee-length or midi dress and mix it with high heels, sunglasses and a mini bag and voila — you will get a chic look! 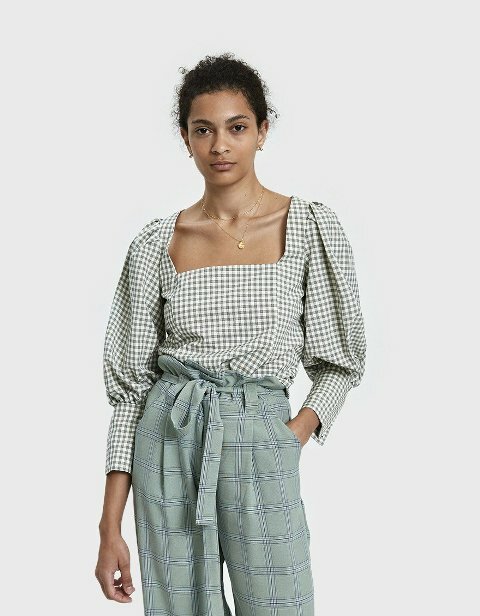 But if you wanna make a cozy and relaxed outfit, you can pick up a square neck ruffled or crop blouse and pair it with distressed jeans or culottes. Now let’s scroll down and see all ideas. 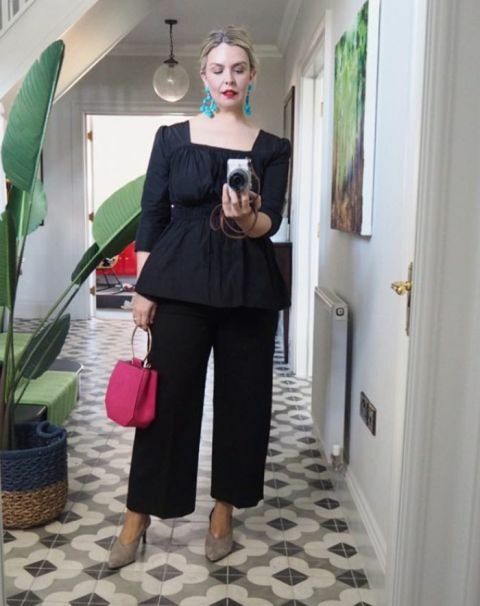 For creating a casual look you can take a brown square neckline long sleeved shirt and combine it with black wide leg pants (you can choose leather ones), a yellow mini bag and beige low heeled shoes. Or you can try to repeat a combination with a pastel colored t-shirt, black crop straight pants, a black bag and two colored shoes. 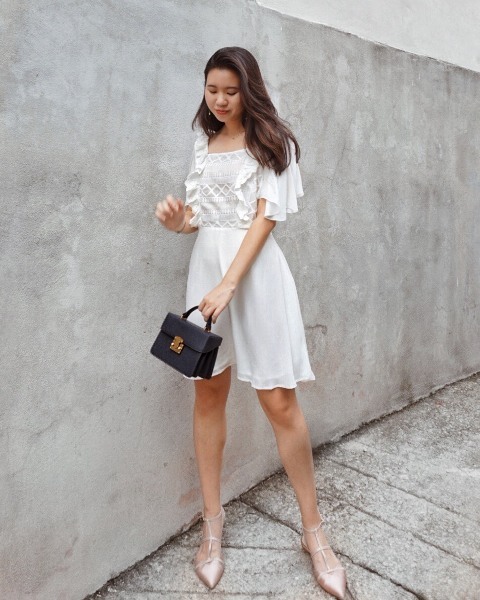 If you want to make an elegant look for summer days, then you can choose a white lace square neckline crop blouse and pair it with a beige wide brim hat and high-waisted loose trousers. Or combine a navy blue long blouse with black trousers, a hot pink bag and gray heels. Love a minimalistic style? Then combine a black square neckline sleeveless knee-length dress with a beige chain strap bag and beige ankle strap sandals. Or you can choose a white ruffled mini dress and pair it with a black mini bag and patent leather lace up flats. For a relaxed look you can mix a burnt orange belted midi dress with a leopard bag and brown leather flat mules.